Container Gardening in the City. The City – an impression of endless sprawl,of smog and fog, concrete and tarmac, and nothing green to be seen other than a cycle-lane or two - well things are changing! An ever-growing number of the British public are finding ways to get the countryside into the urban zone - Whether on patios, roof-tops, window-sills or conservatories, it seems everyone can find a space to get growing. Help has never been so close to hand with break throughs in the development of container gardening. No longer is city gardening the preserve of those lucky enough (and dedicated enough) to run an allotment patch. Affordable, ready-to-use Patio planters mean that everyone, with a minimum of labour and space, can grow their own produce. 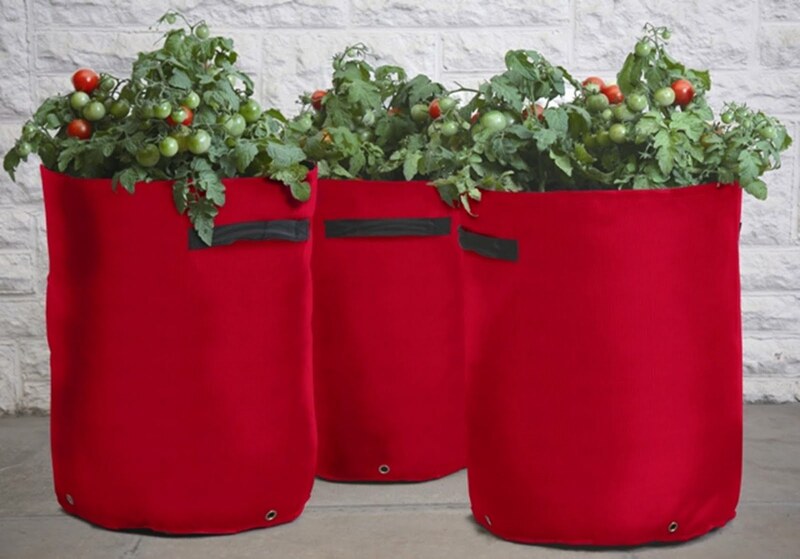 Patio planters are essentially a simple polythene bag, with drainage holes in the bottom and handles on the side – Available in a huge range of colours and sizes, you can now buy a planter to suit pretty much every project and start transforming the roofs and concrete patios of British cities into a colourful and productive garden. 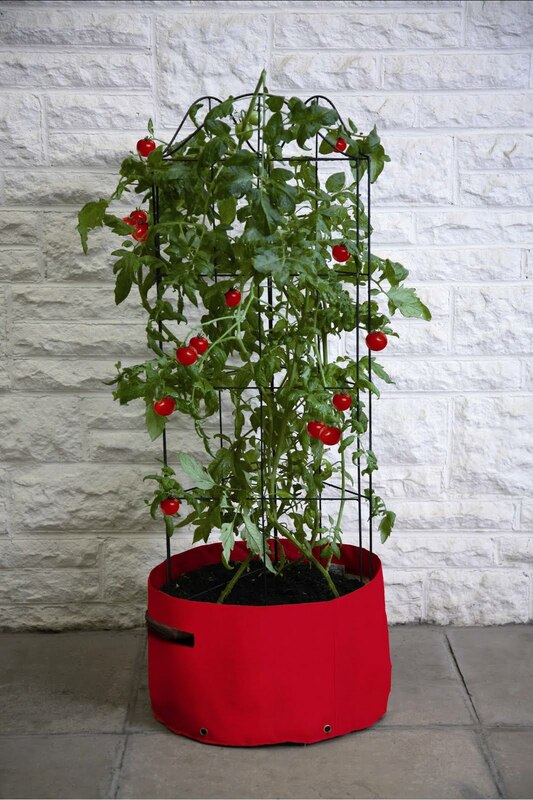 Round and rectangular planters, deep and shallow, planters with pockets for herbs and strawberries and planters with canes for climbing beans and sweet peas – there’s an option for everyone. The idea is simple. Instead of digging and weeding and all the traditional labour related to growing, you simply add a decent quality multi-purpose compost to your container of choice, plant your seeds, add a little water and food from time to time and Bob’s your uncle! Container gardening really is that simple even for the most un-green-thumbed. Seriously though - Gardening has always been popular in the UK, and especially so when times are hard – both recently and in the last recession in the early 1990’s, the gardening sector remained strong as people turned to the simple satisfaction of home growing, coupled with the produce of cheap, healthy vegetables. Hopefully, everyone who has discovered container gardening lately will stick with it. The city feels a better place with green roofs and patios. Healthy, fresh and affordable vegetables are definitely worth it, and lets face it – you just can’t beat that home-grown taste! This entry was posted in Grandpa Haxnicks on 13th April, 2010 by Haxnicks.